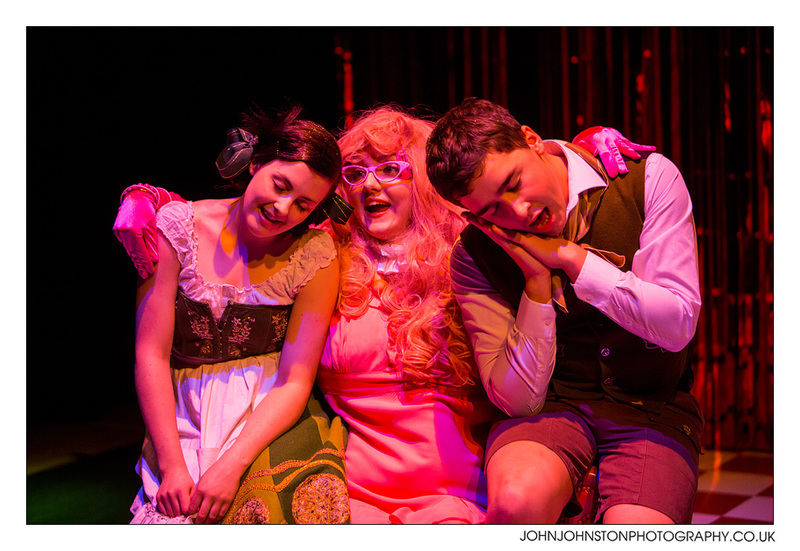 Scottish Youth Theatre Blog: Review: "Oh Crumbs, Scary Biscuits!" As I made my way through the SYT building along with over 10 knee high children and their parents, I didn’t quite know what to expect. I must admit, I was half expecting the children to be restless and noisy, but as the production began outside the Brian Cox Studio, I realised that this would not be the case. The children immediately fell silent as they saw the extravagant costume worn by the Chookie Birdie and were captivated by every one of her movements. The participation began with a few timid giggles from the little ones, which soon developed into confident laughter as Chookie squaked in their direction. The children were encouraged to sit on colourful boxes and beanbags, allowing them to sit amongst the characters, and the wee ones clearly loved the attention they were getting from Hansel and Gretel themselves . The theatre space constantly changed, as we followed Hansel and Gretel through the forest to outside a house made of colourful sweets and flowers, before heading inside the pink patterned living room. Moving from space to space meant that the children were constantly being introduced to new things to look at and engage with, meaning that there was never a moment of boredom. At no point were the audience expected to remain seated - they were constantly encouraged to move around, dancing along with Chookie, and were even invited up to get a ‘bowl of soup’. The interaction was constant, and some of the quick witted and comic answers given by the children were highly entertaining for the parents - when asked what they should put in the soup, one child answered, ‘A crocodile!’ - and it soon occurred to me that this show is not only for the children. The parents loved seeing their little ones having a good time and showing enthusiasm, and it was clear that a lot of the parents bonded with their children over the shared love for the colourful cottage and enthusiastic performances, and were happy to see their children smile and laugh. Above all, the performance was highly educational. The bold and colourful characters presented told a story in an interactive way, making the little ones listen and learn without even noticing. In my opinion, this interactive environment is 100 times more effective than making a child sit and read a book they aren’t interested in - it educates without being obviously educational. Allowing a story to come to life lets children use all of their senses and makes their imaginations come alive. Not only was there clear educational and thought provoking messages displayed - that we shouldn’t take what isn’t ours or we will get into trouble (when Hansel and Gretel take the sweeties from the house), that good can conquer bad (when the witch is the one who ends up in the oven), and that we shouldn’t resort to violence (when the witch isn’t hurt, but is made to sit on the naughty step instead), but the children were allowed to run free with their imaginations and participate in the story as characters themselves. They were made to feel important and included, and the fact that they were allowed to say and do what they wanted in a safe environment instead of being dictated to meant that their confidence grew from beginning to the end. The children began to assume roles as the performance went on - one child took on the role of the director, and was telling the actors what to do and where to hide, and one girl was concerned for the safety of Gretel, ‘Maybe you should just stay out here instead of going in the house, Gretel’. By the end of the performance, the children had all ventured away from their parents, and were up dancing and singing with the characters, with no inhibitions in the slightest. By the end of the performance, I left with more than a piece of shiny treasure given to me by Hansel: I left with the belief that interactive children’s theatre is the way forward. With a price that doesn’t greatly differ to a cinema ticket, you definitely get a lot more for your money with this production. Sitting watching a screen and characters that only exist beyond it does not compare to the interactive and exciting experience that SYT’s christmas show can offer, and ‘Oh Crumbs, Scary Biscuits!’ serves for a perfect family outing. *Katie is a member of SYT's Young Reviewers group. A group of young people who are passionate about performing arts for children and young people. If you want to take part or to find out more, you can email kyriakosv@scottishyouththeatre.org.